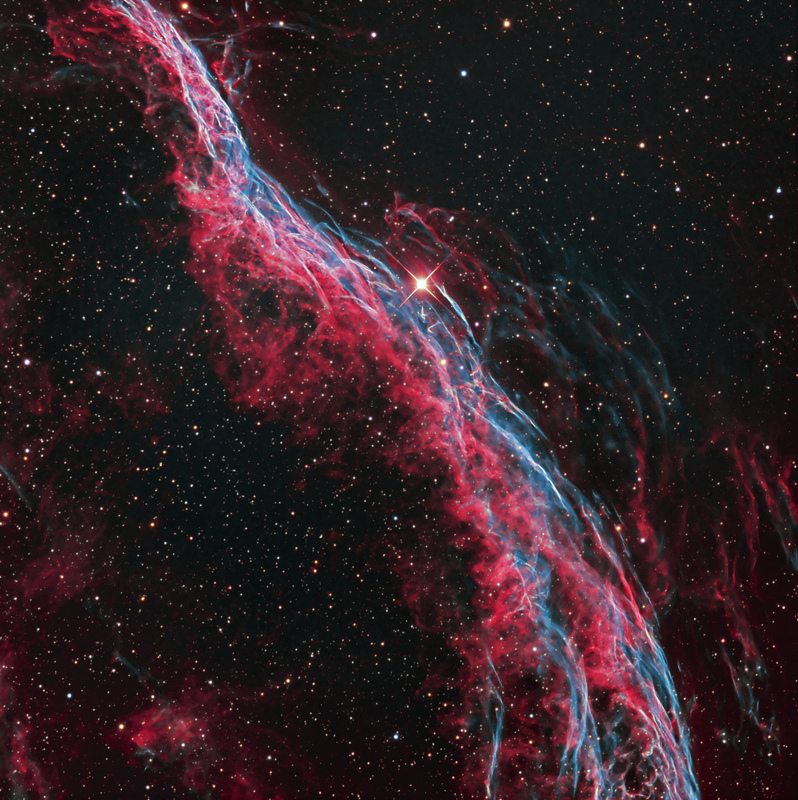 This image was taken with 3 nm Astrodon OIII and H-a filters to enhance the contrast of the filamentary structure, but to provide "natural" color. Short RGB data were added for star color. Data were taken in our suburban backyard under mag 4.5 skies with the moon up for the narrowband data and RGB before the moon came up.